Several countries, including the United States, called Tuesday for Myanmar military leaders accused of orchestrating the repression of the country's Rohingya minority to be brought before international justice. "The facts of the ethnic cleansing of the Rohingya must be said, and they must be heard," said Nikki Haley, the US ambassador to the United Nations. Haley and other ambassadors stopped short, however, of using the word "genocide" that was cited in a UN-backed report released the day before accusing Myanmar's top brass of a long list of atrocities in Rakhine state. "Here in the Security Council, we must hold those responsible for the violence to account," Haley said. The report by UN investigators called on the Security Council to refer the Myanmar situation to the International Criminal Court in The Hague, or to create an ad hoc international criminal tribunal, as was done with the former Yugoslavia. 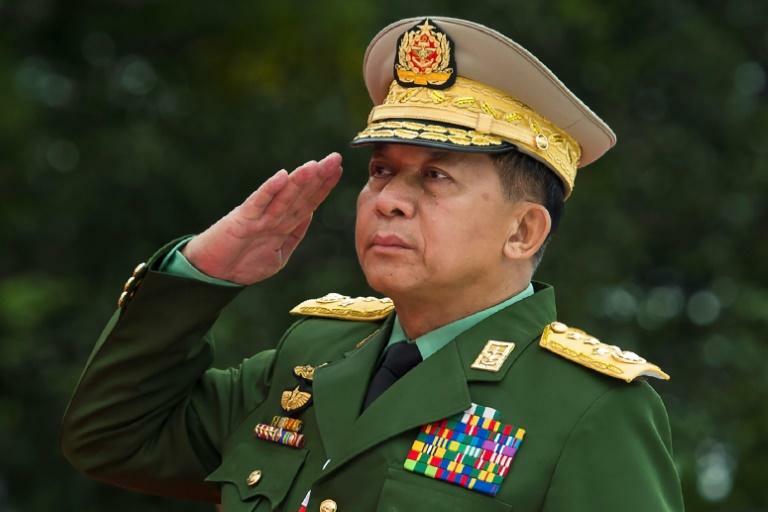 The UN-backed fact-finding mission said that Myanmar's "top military generals, including Commander-in-Chief Senior General Min Aung Hlaing, must be investigated and prosecuted for genocide in the north of Rakhine State." The crimes it cited after a long inquiry included murder, enforced disappearance, torture and sexual violence "perpetrated on a massive scale." Several other Security Council members joined the call for the perpetrators to be brought before an international tribunal, including Britain, France, Kuwait, the Netherlands and Sweden. They also called for a mechanism to "collect and preserve proof" of abuses. But China and Russia, which as permanent members of the Security Council have veto powers, have said they prefer "dialogue" with the Myanmar leadership to resolve the conflict. "It is clear that conditions are not yet met for the safe, voluntary, dignified and sustainable return of Rohingya refugees to their places of origin or choice," said UN Secretary General Antonio Guterres. He said that in Rakhine state, "some 130,000 Rohingya remain confined in camps with severe restrictions on their freedom of movement. They have extremely limited access to health, education and other essential services, and to ways of making a living." Guterres did not weigh in on the issue of bringing the perpetrators before an international court, but said that "effective international cooperation will be critical to ensuring that accountability mechanisms are credible, transparent, impartial, independent and comply with Myanmar's obligations under international law." Myanmar's ambassador to the United Nations, Hau Do Suan, rejected the conclusions of the UN report and questioned the impartiality of investigators, saying: "I would like to reiterate that we did not accept the mandate of the mission because we have our concern about the mission's impartiality." Human Rights Watch and the International Crisis Group called on the international community to prevent those responsible for abuses in Myanmar from escaping justice, with the latter organization saying the UN General Assembly was better able to create a judicial mechanism due to divisions within the Security Council.